As the Web melts down over Back to the Future Day and brands try to jump on the fast-moving bandwagon, the London Fire Brigade (LFB) has issued a warning for ‘hoverboard’ – self-balancing scooter – owners to pay close attention while they’re charging, over fears they pose a fire risk. The LFB says that in the space of two weeks, it had to send out four fire engines and 20 firefighters to attend a bedroom fire caused by “an electric uni-cycle” on charge. An earlier incident resulted in two men having to escape through a window, after “a banging noise” drew their attention to a fire in a room where their board had been charging. Both devices are being investigated with further tests to see if they inherently pose a risk, or have been supplied with incorrect chargers. A BBC Watchdog investigation last week found that some of the chargers supplied with hoverboards didn’t contain a fuse. 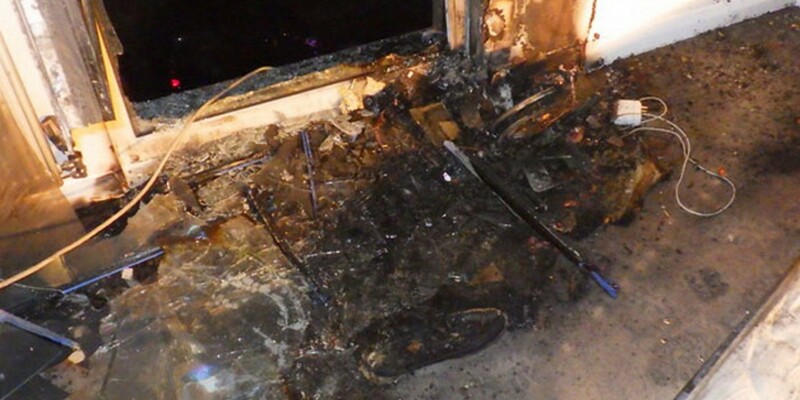 So, the things we call ‘hoverboards’ don’t hover and may or may not catch fire while charging. It’s not exactly the future we’d been hoping for.